Our school district is undergoing an unprecedented situation. Seven weeks ago we voted to move students out of Coleytown Middle School. 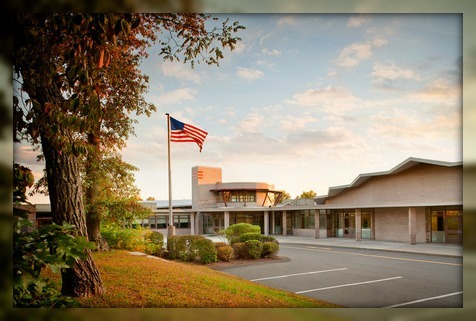 The Board acted quickly to hire both the architect and industrial hygienist to provide 3rd-party evaluations of the condition of the building. We are sending this communication to the community to let you know what actions are being taken by the Board to address this situation in both the short- and long-term. Last Monday, we heard a report from KG+D Architects about their assessment of Coleytown Middle School. KG+D offered very preliminary cost estimates of 3 options to remediate or rebuild Coleytown Middle School, ranging from $25 to $70 million. The report is available for viewing at: http://bit.ly/KGD-CMSReport-2018-11-05. The Board of Education also authorized the creation of an ad hoc townwide committee to advise and make recommendations to the Board on the short- and long-term needs of our district’s educational and physical facilities. Our town has precedent for these committees and we are moving expeditiously to activate these. People willing to serve on this committee can send an email expressing their interest to Mark Mathias (mmathias@westportps.org). Ultimately these decisions lie with the Board, but we are soliciting community input in order to inform our decision-making. 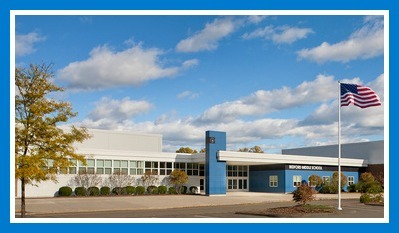 First, on Thursday (November 15, Bedford Middle School, 7:30 p.m.), an open meeting will be held. The public can hear from and ask questions of Kris Szabo, Dr. Adam Rosen and James D’Amico (Coleytown, Bedford and Staples principals) about progress at Bedford and Staples. District administrators and members of the Board of Education will also be present. Second, no later than Monday, November 19, we will receive the report from the industrial hygienist on their review and recommendations on Coleytown Middle School. Monday, December 10 (Staples cafeteria, 7:30 p.m.): The Board of Education will decide how to proceed for the 2019-2020 academic year. The challenges our town has faced this academic year are substantial. Closing a school during the school year is not a decision that we take lightly. The situation has affected everyone in our schools, and is a test of our ability to handle disruption. Through years of building top teams of teachers, staff and administrators, we are confident in our teachers, staff and administrators. It’s also clear that this year is different for everyone involved with our education system. This is not the year that anyone planned. Some people have been affected more than others. We have been and continue to work to address everyone’s needs. 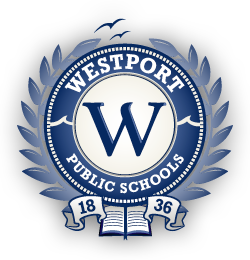 Most importantly, we have focused on the safety of our students, faculty and staff and our continuing efforts to provide the top notch education for which Westport is known. More updates will be coming from Dr. Palmer and the Board of Education as we work through this together. Finally, we appreciate the feedback we have received from the community. It is your support, varied perspectives and specific insights that help us make decisions that will affect us now and for years to come. Board members’ individual contact information can be found by clicking here. Alternatively, the entire Board can be reached by email at boe@westportps.org. Videos of our public meetings can be viewed by clicking here. This entry was posted in Education, Local politics, Staples HS and tagged Bedford Middle School, Coleytown Middle School, Dr. Colleen Palmer, Staples High School, Westport Board of Education. Bookmark the permalink. $25MM to overhaul a school building that had very little going for it in the 1st place. There has to be a better way that has not yet occurred to anyone. As they say in the USMC: “Improvise, Adapt. Overcome.” The children of Westport will be all the better for it. BofE-thank you. This is a difficult time with difficult decisions. Keeping us informed thru all the processes and decisions is important and you have taken that seriously. Thank you. Please keep it going. I’d strongly encourage everyone to read the report from KG+D linked above. It’s sobering for a couple of reasons that should be part of any discussion around what we do next. One is that the problems that put us in this situation did not appear overnight. They seem to be the result of bad design, poor execution, and criminally underfunded maintenance on CMS. They could/should have been detected and dealt with at many points over the last decade when the damage wasn’t as extensive and the remediation could have been ongoing and incremental vs massive rip/replace. So before we decide what to do with CMS, we need to have an honest and open conversation about governance, accountability and how we prevent this from happening again, along with how we are preventing these mistakes at our other schools. How do we know there aren’t time bombs from bad construction and lack of maintenance lurking at BMS and Staples? Two is that even the remediation approach has us without this school for 2.5 years. And the rebuild plan puts that number at 5 years. So whatever solutions people propose for the “interim” period will need to be understood as being with us for quite some time. For example with the rebuild approach, the next incoming freshman class at Staples will graduate before this is resolved. So it’s great that the BoE is going to run an inclusive and transparent process. This is a super hard problem with no easy answer. But as participants in this process we really need to dig in and understand the details so we can avoid this happening again. Reading the assessment from the architects and thinking through the dozens of shortsighted and bad design decisions, shoddy execution and deferred maintenance that got us here really gave me concerns about how we proceed. Just to jump the gun a little.. How about adding onto BMS in order to accommodate CMS and just close down the old school in Coleytown? Seems like what we should have done a few years ago, when BMS was built. Just sayin’.